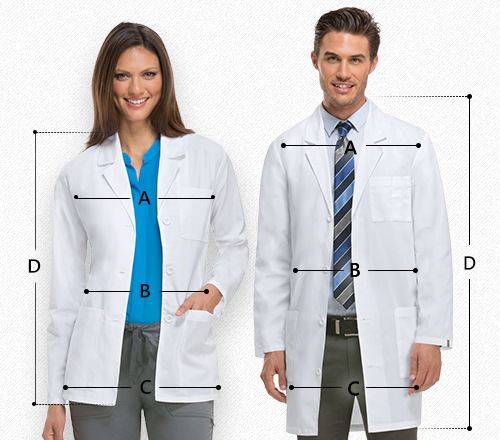 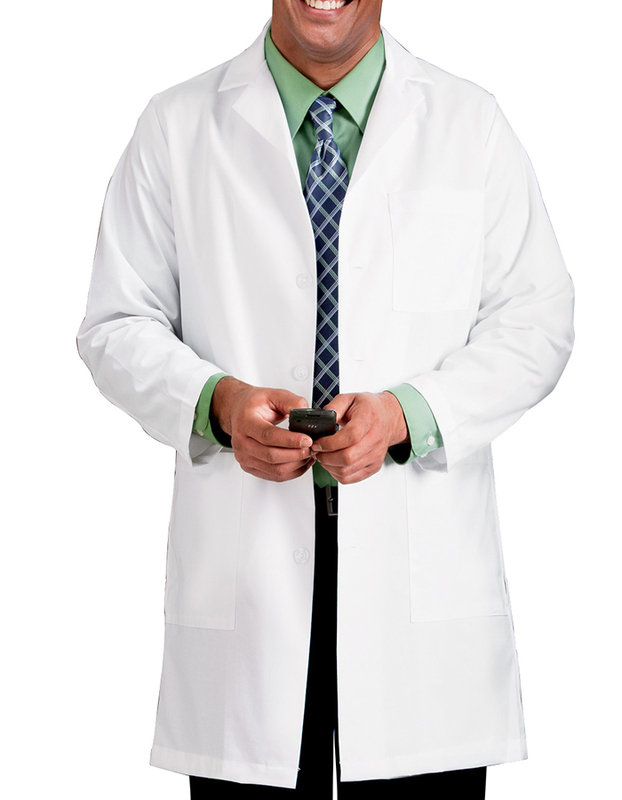 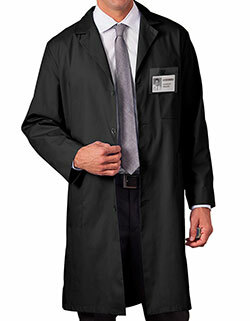 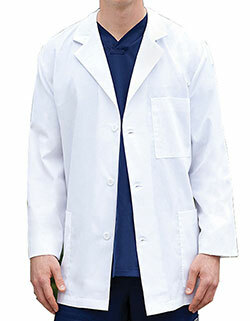 Get a tapered look with White Swan 38-inch long lab coat. 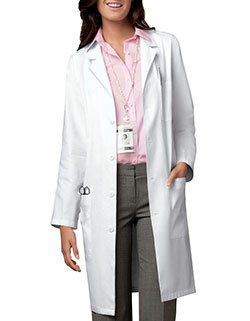 The classic notched lapel collar, long set-in sleeves and five-button closure gives a neat and professional look. 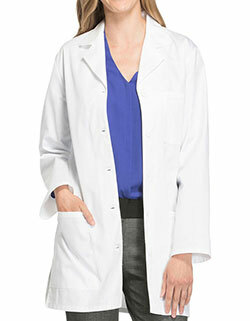 Keep your essentials within easy access with side seam slit pockets.